In the midst of an election year and a national opioid addiction crisis, mental health is finally getting the attention it’s due. The Mental Health Reform Act, which has already been approved by the Senate HELP Committee, is one of those efforts that is trying to right the ship to balance mental and physical health care. More specifically, the bill addresses access to care, behavioral workforce shortage, telehealth child psychiatry access grants, state prescription drug-monitoring programs and mental health parity. 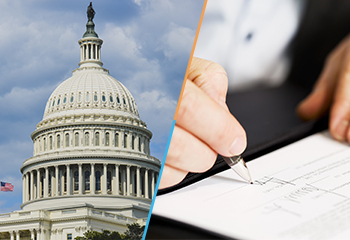 At the summit, mental health advocates turned in more than 200,000 signatures petitioning for quick approval of the bill, but the legislation is not without barriers, including reciprocal legislation, funding and the unintended consequences of privacy laws. Politics isn’t without its negotiations. It has been reported Sen. John Cornyn, (R-Texas), wants to include his bill concerning guns and mental health in the legislation. His bill aims to avert gun violence by ensuring would-be offenders receive treatment and by enforcing existing criminal laws, rather than creating new restrictions on the sale of firearms. Funding can be a give-and-take as well. The bill does not have a funding source so its sponsors are working with the Finance Committee to find ways to pay for it – probably transfers of money from other programs. Sen. Murphy said he had to “set aside” parts of the bill that cost money, including a provision focused on removing a Medicaid limitation on the number of mental health and substance use disorder beds a hospital can have and still qualify for federal money, known as the Institutions for Mental Disease (IMD) exclusion. Another option could be to work in a bill from Sens. Roy Blunt (R-Mo.) and Debbie Stabenow (D-Mich.) that would expand the number of states participating in a federal demo program to increase mental health clinics. “The IMD exclusion is expensive. Expanding out the Blunt-Stabenow proposal is not as expensive,” Sen. Murphy said. However, the summit wasn’t all about the grind of political gears; both personal and professional testimony underscored support of the bill. Keynote speaker Virginia state Sen. Creigh Deeds gave a powerful speech about how federal HIPAA laws impeded his ability to help his son who committed suicide at 24 after a struggle with bipolar disorder. Dr. Peter Jacoby, chairman of emergency medicine at St. Mary’s Hospital in Waterbury, Conn., warned that our nation is in the midst of a crisis-care bed shortage that is leading to widespread emergency room psychiatric bed-boarding. Beacon Health Options (Beacon) took the opportunity to comment on system-wide changes that the company feels are necessary to address such issues as raised by Sen. Deeds and Dr. Jacoby. Based on recommendations outlined in Beacon’s white paper, “Integration,” commentary included the importance of thinking about integration as bringing primary care into mental health treatment, in addition to thinking about it in the reverse. Additionally, senators were questioned on how reform of 42 CFR Part 2 (law providing additional confidentiality protections to patient records related to treatment for alcohol and drug use) could be part of the legislation or future legislation, given the strong need to improve communication among providers to help quell the opioid epidemic and achieve true integration and parity. In sum, Sens. Murphy and Cassidy are optimistic about accelerating the reform bill over the next few weeks. Stay tuned for more updates. Well written article about a sad situation beyond political party contention. Hope this issues gets passed!